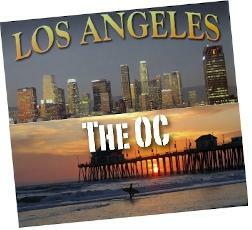 The GLA-LIG is pleased to announce our joint LA / OC area meeting. This is a One-Two punch to Jump Start Your ITSM Career! Two speakers will provide valuable information, trends, tips and tricks to get you started, back on track or propel you in your career success. The evening will start with ITSM / ITIL – (WIIFM?) What’s In It For Me? and move to an interactive workshop to assist you with Managing Your Career! Paul will present the latest updates on itSMF and ITIL education, as well as various types of ITSM industry certifications available. Paul will also discuss the latest IT Service Management business and technology trends and their impact on training and certification, including the need to reduce costs while preserving quality, impact of cloud computing and virtualization, social collaboration tools, and mobile technology. Paul Dooley is an IT Service Manager & ITIL V3 Expert and current itSMF GLA-LIG Education Chair. Just like ITIL – Manage and Accelerate your Career with Strategy, Design, Transition, Operations and CSI! Robin Borough is President of Omnikron Systems Inc. with 20+ years guiding 1000’s of professionals in career advancement even through economic downturns, market fluctuations, mergers, acquisitions and outsourcing! This entry was posted on March 31, 2011 at 7:58 pm and is filed under Uncategorized. You can follow any responses to this entry through the RSS 2.0 feed. You can leave a response, or trackback from your own site.